A core objective of the Burger King 20/20 Energy Efficient Restaurant concept was to create a contemporary, edgy, futuristic look for the Burger King restaurant dining experience. The eco‐friendly designs utilise state‐of-the‐art technologies and renewable energy to power one‐third of the restaurant’s energy consumption, in an effort to reduce energy consumption costs and CO2 emissions every year. 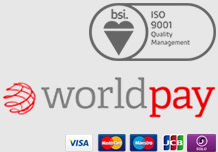 Gooding Aluminium’s GA anolight aluminium corrugated sheets play an integral role in supporting Burger King’s commitment to its corporate social responsibility programme: creating modern design that meets energy efficient elements. What would come to mind if you were asked to describe typical uses for corrugated aluminium? Many would probably begin thinking about various external applications, including cladding for industrial buildings, retail sheds and other similar utilitarian uses. 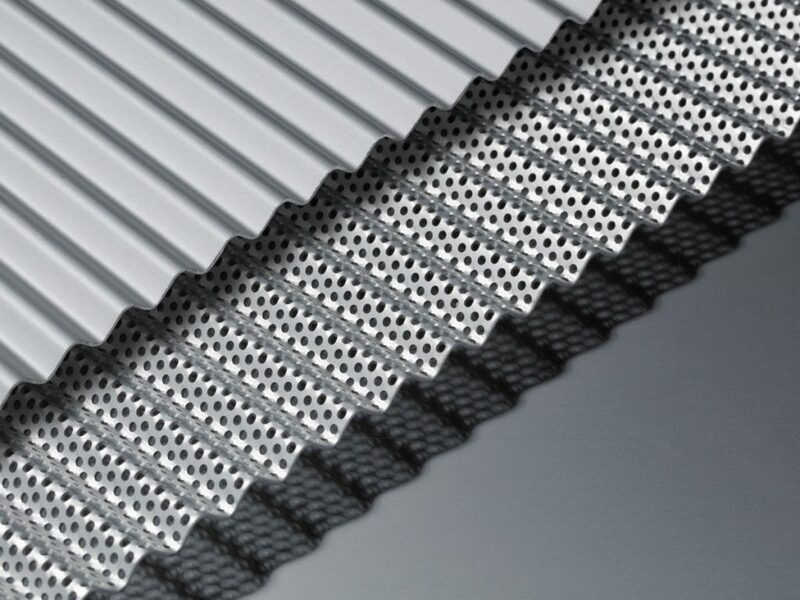 However, as an alternative to large sized industrial style corrugations Gooding Aluminium have developed specialised tooling for producing a variety of miniaturised equivalents with both curved and flat topped patterns. Lightweight and eye-catching the GA Anolight range of diminutive corrugated profiles adds a contemporary and elegant twist to all kinds of interior spaces. 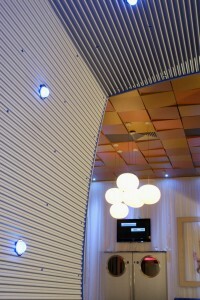 Flexible Anolight can be installed with its pattern running either horizontally or vertically. The combination of Anolight’s fixing adaptability with its modern good looks makes it just right for the exhibition, leisure and retail sectors. Being such a lightweight product (2.74 kg/m2) makes it is so easy to handle, shape and fit on site.